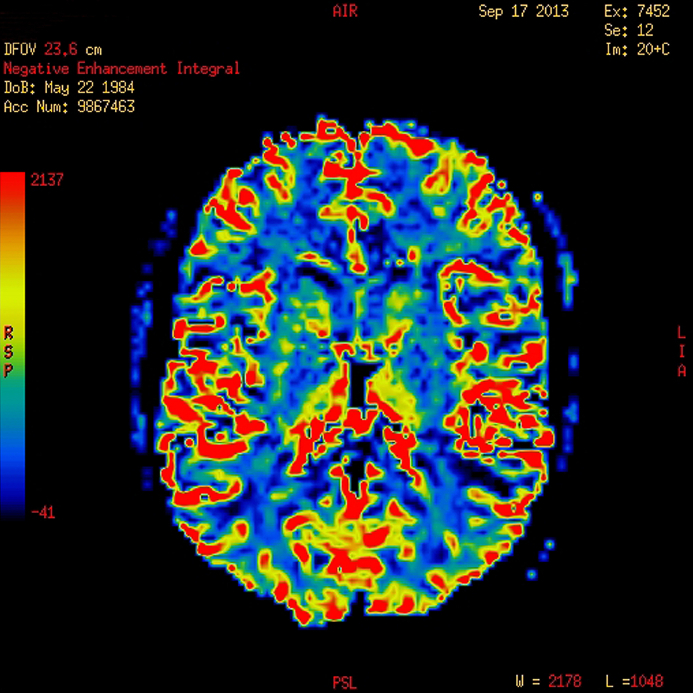 In an image from an MRI, the blue color depicts low blood volume, indicating areas of white matter. It has been established that cannabis use is associated with impairments in working memory, but researchers are still investigating how these impairments come about. A 2013 study by Matthew J. Smith et al. in the journal Schizophrenia Bulletin compared regular marijuana users both with and without schizophrenia with demographically similar people who did not use marijuana. Using magnetic resonance imaging (MRI), the researchers were able to map each participant’s brain structures. Healthy people who were marijuana users showed deficits in white matter (axons of neurons that are wrapped in myelin) compared to healthy people who did not use the drug. Similarly, patients with schizophrenia who used marijuana regularly had less white matter than those patients with schizophrenia who did not use the drug. There were also differences in the shapes of brain structures, including the striatum, the globus pallidus, and the thalamus, between cannabis users and non-users. Differences in the thalamus and striatum were linked to white matter deficits and to younger age of cannabis use disorder onset. Differences between cannabis users and non-users were more dramatic across the populations with schizophrenia than across the healthy populations. Editors note: Future research is needed to determine whether marijuana causes these brain changes, or whether the brain changes are a biomarker that shows a vulnerability to marijuana addiction (although the latter is less likely than the former). Other data show that marijuana is associated with an increase in psychosis (with heavy use), cognitive deficits, and an earlier onset of both bipolar disorder and schizophrenia in users compared to non-users. These findings make pot begin to look like a real health hazard. With legalization of marijuana occurring in many states, ease of access will increase, possibly accompanied by more heavy use. The most consistent pharmacological effect of marijuana is to produce an amotivational syndrome, characterized by apathy or lack of interest in social activities. Particularly for those already struggling with depression, pot is not as benign a substance as it is often thought to be. 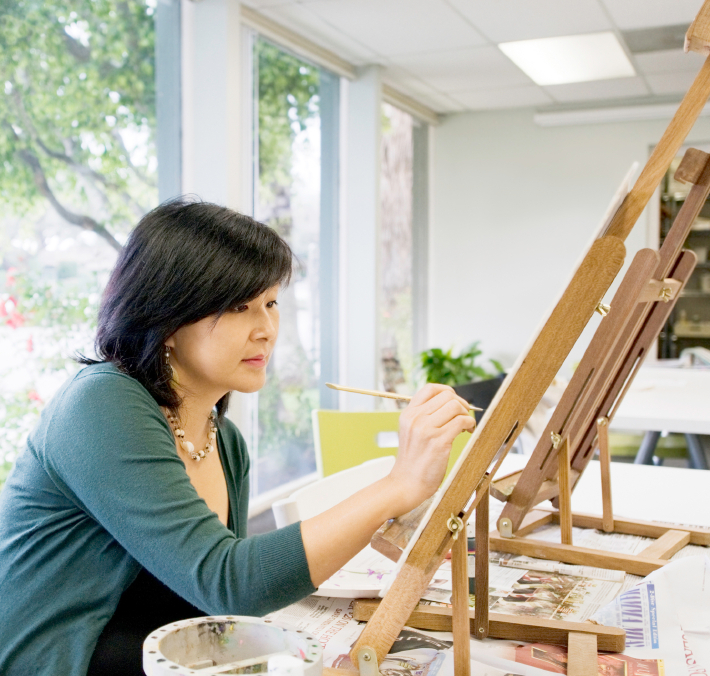 At a symposium on new research on juvenile bipolar disorder at the meeting of the American Academy of Child and Adolescent Psychiatry (AACAP) in 2010, the discussant Kiki Chang of Stanford University reported some recent neurobiological findings on childhood bipolar disorder. 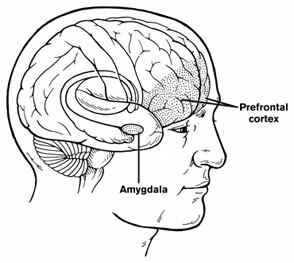 He found evidence that prefrontal cortical volume appears to decrease over the course of the illness and, conversely, there was evidence of increases in amygdala volume. He also found that the volume of the striatum (or caudate nucleus, which is involved in motor control) increased in children with bipolar illness or bipolar illness comorbid with ADHD, but decreased in children with ADHD alone. Chang cited the study of Singh et al. (2010) who found that the subgenual anterior cingulate volume early in the course of illness was smaller in adolescent-onset bipolar disorder compared to controls. Given this evidence of prefrontal cortical and anterior cingulate deficits, Dr. Chang raised the possibility that treatment with lithium and other agents with potential neurotrophic and neuroprotective effects might be able to prevent these neurobiological aspects of illness progression in young patients.